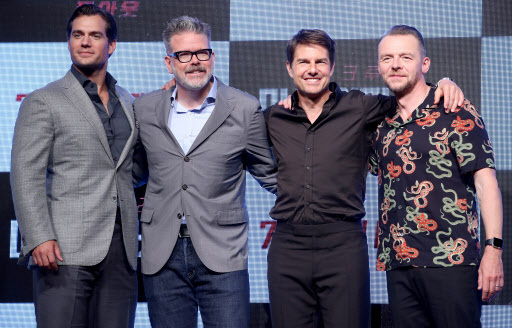 Hollywood superstar Tom Cruise arrived in Seoul on Sunday to promote his upcoming movie “Mission: Impossible – Fallout.” It was his ninth visit to Korea. The actor was welcomed by local fans who awaited his arrival at Gimpo Airport. Cruise greeted the fans by waving his hands with a big smile and spent about 40 minutes with them at the airport. The friendly manner of the 56-year-old actor has earned him a nickname “Hospitable Tom Ajeossi” among Koreans. Ajeossi is a word used to describe or address older men in Korean. The fans uploaded videos and photos of the actor at the airport on social media platforms and heaped praise on the actor’s warm attitude toward them. During his three-day trip to Korea, the actor will participate in various promotion events, including a press conference and a meet-up with fans. Cruise is set to film for Korea’s variety show “Running Man” on Tuesday and carry out several games with K-pop stars. The show will be aired on Sunday. 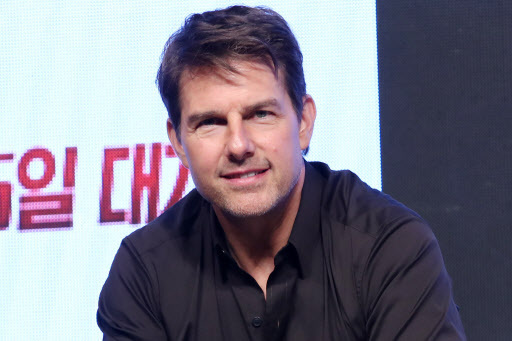 As the news of Cruise appearing in “Running Man” went viral online, keywords such as “Running Man Tom Cruise,” “Tom Cruise” and “Running Man Mission Impossible” plastered trending lists on online portals Sunday. The Paramount‘s tent-pole “Mission: Impossible -- Fallout” is set to be released on July 25.